Just Blocks from US-26. Fifteen minutes from downtown Portland! If you live in the western Portland metro area, you’re just minutes away from our beautiful facility. Stop by today for a quick tour! For affordable storage units in Beaverton, Oregon, there’s no better place than Sunset Mini & RV Storage. Need a truck or trailer for moving day? We offer all of this and more - we are a proud U-Haul provider. We offer unit sizes ranging from 5’x5’ to 12.5’x20’, so check out our calculator and take your pick! We’re a family-owned company that’s committed to the town that’s allowed us to grow into the premier storage facility for self storage in the area. We donate to local sports teams and do what we can to give back to the community, who gives so much to us. For your convenience, we keep our office open every day of the week, we use a friendly call center to pick up calls when we’re not available, and our manager lives onsite to better assist you. Are you an outdoor enthusiast? Get that boat or RV out of your driveway and into one of our affordable parking spaces! We have more than 200 parking spaces onsite, so you know you’ll find one to fit your needs. Many local businesses also store their vehicles with us, from landscapers to contractors. Contact us for more info! With wide aisles and ground-floor storage units, our facility is perfectly equipped for drive-up access. You pull your moving vehicle right up to your unit’s door for a quick and hassle-free move-in. We even have dollies and handcarts you can use for your heavier items, and you can pick up packing and moving supplies from our front office. Need help moving or loading and unloading a truck? Super Movers PDX can assist you to ensure a smooth and easy move. Give us a call for more information. 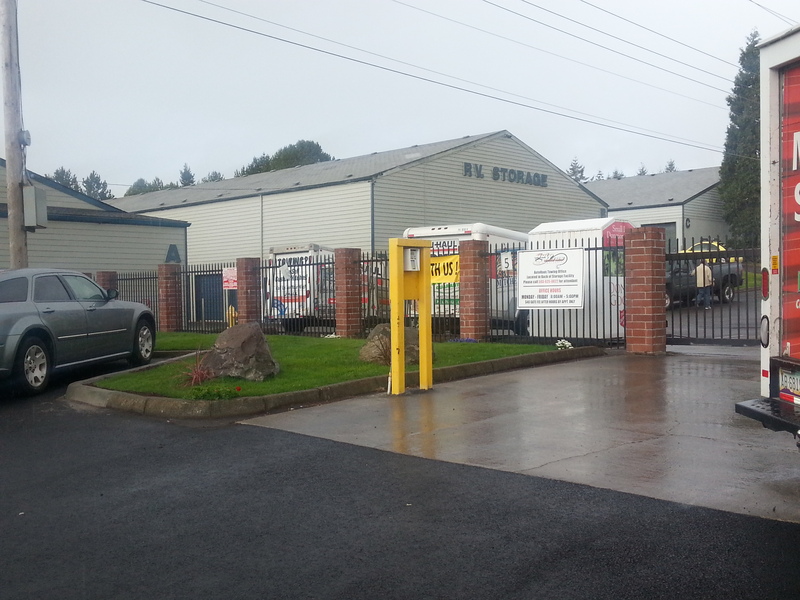 We offer secure units and vehicle storage at an affordable price. We want you to have the best deal on a storage unit in the Portland / Beaverton area!